Queue up your playlist and get ready to rock! 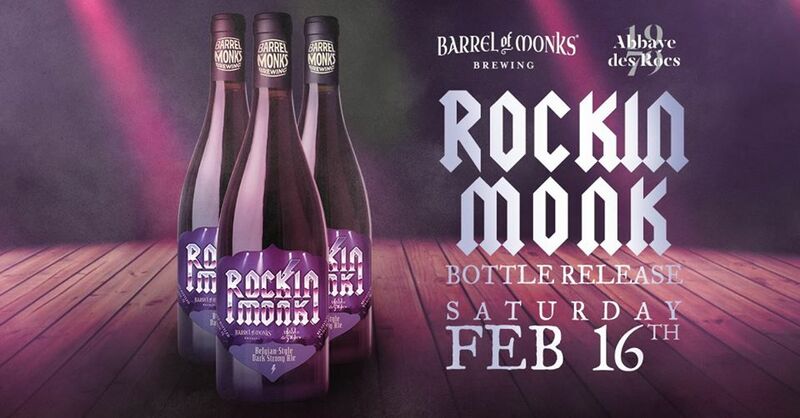 On Saturday, February 16th, we are releasing Rockin Monk, a collaboration with our friends at Abbaye des Rocs, the oldest microbrewery in Belgium. Available for a very limited time, this 11% Belgian-style dark strong ale is subtly spiced to add intricate flavor and balance. Like a musical duet, we are proud to have brewed this beer with Abbaye des Rocs, because it hits all the right notes, and it’s only $16.99.